With RapStar being developed as an iPad app, it would be logical that submission to the Apple App Store is the product’s final hurdle. However, before that point can be reached, multiple iterations, which include necessary features that allow the app to be scaled, must be built. There are four major features that must be incorporated. User selected media allows for the use of popular music in the app without violating copyright laws. Because the user already owns the music, they are free to use it in any way they wish for personal use. 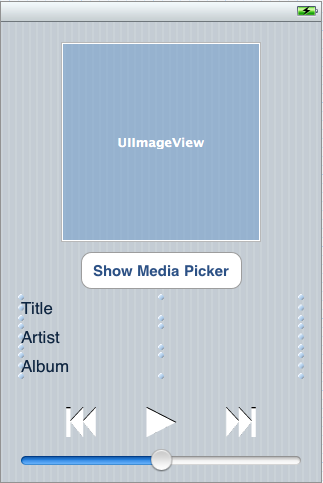 This would require a new screen that would allow users to select song titles they wish to use in the app. Once the songs are chosen, lyric data is then collected from various sources. The lyric data is a major part of the back-end of the app. Integrating lyric services like Musixmatch will be key to success of the app. Musixmatch has time-sync lyrics for 20,000 songs in its database. This data would allow the app to easily animate lyrics in sync with the song. In order to automate the level building process, the lyrics must be defined by parts of speech. Lexicontext is a database of the English words, which will be queried for each lyric as it gets rendered to the screen. Our prototype apps brought a design flaw to light. Our prototypes only used static text which created an inherent flaw- only a handful of lyrics can be displayed at any one time. To overcome this flaw, it is important to design dynamic text based sprites from the lyric files.